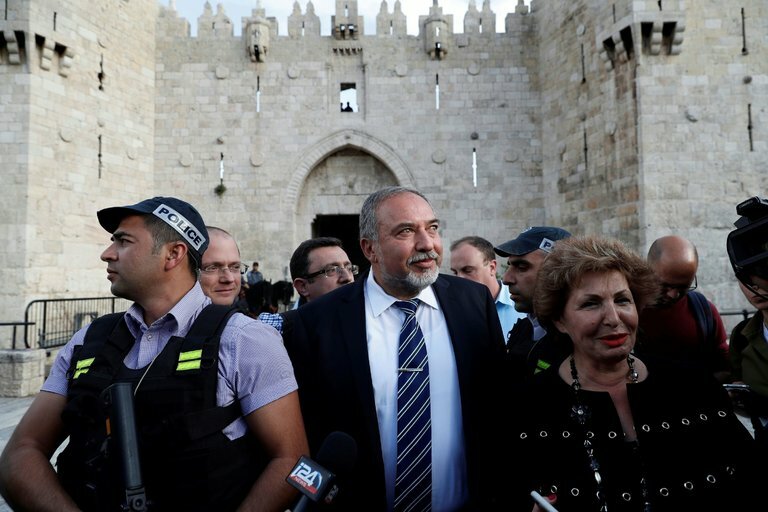 Avigdor Lieberman, the Israeli hard-liner who was named defense minister on Wednesday, recently issued a typically blunt ultimatum to Ismail Haniya, the leader of Hamas, the Islamic militant group that controls Gaza, The New York Times reports. Becoming defense minister was Mr. Lieberman’s main condition for a deal that augments Prime Minister Benjamin Netanyahu’s governing coalition by adding Yisrael Beiteinu to it. The move increases the government’s number of seats to 66, from a precarious 61, in the 120-seat Parliament. The addition of Yisrael Beiteinu also buttresses the hawkish image of a government already dominated by right-wing and religious parties. As the deal was announced, Mr. Lieberman sounded far more conciliatory. “My responsibility is for a level-headed policy that will bring stability to the region, to our country,” he said, adding that he intended to work in close cooperation with Mr. Netanyahu and the military. Yet Mr. Lieberman, the foreign minister in two previous Netanyahu governments, is a polarizing figure with little direct experience in security affairs, and he has a long record of bellicose threats. His appointment has alarmed many in a country perennially on the brink of military conflict, and it led to charges that Mr. Netanyahu’s party, Likud, had put its political survival above the well-being of citizens. As well as his aggressive stance against Hamas, Mr. Lieberman has called for the ouster of President Mahmoud Abbas of the Western-backed Palestinian Authority. Together with Naftali Bennett, the education minister and the leader of the right-wing party Jewish Home, Mr. Lieberman was highly critical of the handling of the 50-day war in Gaza in the summer of 2014, which ended without a clear victory for Israel. In an interview with a Gaza-based news agency, Mahmoud Zahar, a Hamas leader in the Palestinian coastal enclave, called Mr. Lieberman a “loudmouth” and a “coward” and dared him to approach Gaza. Until recently, the exchanges between Mr. Lieberman and the government he is joining were no less acerbic. Likud issued a response at the time saying that Mr. Lieberman “did not meet the threshold requirements” to be a military analyst, and the party described him as “a man who has only heard tennis balls whistle past his ear,” rather than bullets. For all of Mr. Lieberman’s bluster, many Israeli analysts predict that he will become more pragmatic once he takes office. “When you sit in the chair and consider the consequences of your decisions, things look different,” said Amos Harel, the military affairs analyst of the liberal newspaper Haaretz. Mr. Lieberman’s appointment comes at a delicate time diplomatically. Israel is under international pressure over the Palestinian issue and is in the thick of difficult negotiations with the Obama administration for an enhanced 10-year military aid package that could top $40 billion. As foreign minister, Mr. Lieberman, an immigrant from Moldova, then part of the Soviet Union, who lives in a West Bank settlement, was sidelined when it came to Israel’s critical interests, including its relationship with Washington. Mr. Lieberman has also said that Israel should seek other allies and worked to strengthen ties with Russia. In recent days, Mr. Netanyahu welcomed what appeared to be a behind-the-scenes move for a regional conference hosted by Egyptthat had begun to take shape while he was in earlier coalition talks with Isaac Herzog of the center-left Zionist Union. It is not immediately clear where the shift rightward leaves that initiative. “It will be sad if we miss that opportunity because of domestic politics,” he added. There is also concern over what kind of working relationship Mr. Lieberman will have with the army’s top generals, having recently positioned himself as their adversary. His appointment comes as Israel has been grappling with a wave of Palestinian stabbings and other attacks that pitted the army chiefs, who urged restraint and a strict adherence to open-fire regulations, against an increasingly belligerent segment of the Israeli public. Mr. Yaalon, a former chief of staff, stood firmly with the military, while some other ministers fanned the populist ire. In a case that has roiled Israel, Mr. Yaalon and the military chiefs were uncompromising in their condemnation of a sergeant, Elor Azaria, who shot and killed a disarmed Palestinian assailant in the head as he lay wounded on the ground. The soldier has been charged with manslaughter and is on trial in a military court.